With the rise of large-scale IoT deployments, the demand for low cost, low-power, wide-area network solutions is only growing. LTE CAT 1, now in its maturity, offers faster uplink and downlink than 3G and 2G technologies at a lower operating cost. LTE ranges from high-bandwidth applications such as real-time video to value-optimized performance with cost versatility which makes it ideal for M2M communications, including low-power options for battery-operated devices. Tailored for longevity, LTE continues to offer better coverage for difficult areas within buildings and underground. Harnessing the full-potential and depth of LTE, CalAmp’s products are designed to achieve the most optimal LTE performance which includes fallback to 3G and 2G to help bridge the gap during network transitions, as well as dual networks for companies requiring high QoS for network redundancy with failover and fallback for continuous uptime. CalAmp continues to develop and commercialize these LTE CAT 1 solutions while also preparing for the next stage of LTE, CAT M. New CAT M device categories will provide a reduction in complexity while optimizing efficiency and value and requiring even less power, making them optimal for lower-bandwidth battery-operated applications such as asset tracking and trailer tracking. In the future, companies will have a broad array of choices when determining the hardware that best suits their connectivity needs. As innovation drives new applications, CalAmp is there with solutions that connect the Internet of Machines securely, reliably and simply. 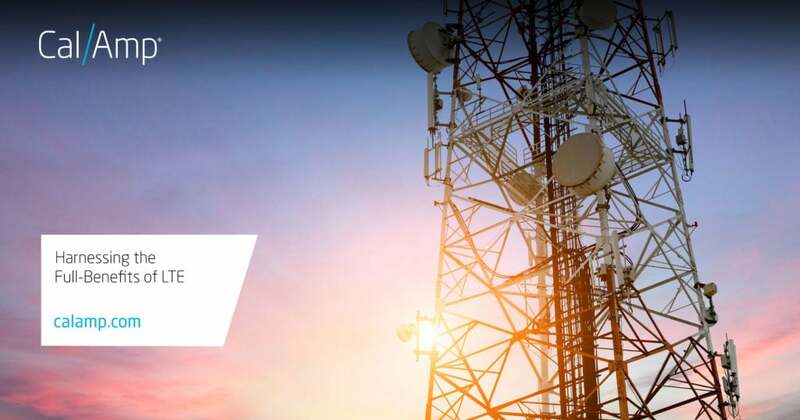 To learn more about CalAmp’s LTE product offerings, check out our solutions brief, [LTE Connection: Why It’s The Backbone of Today’s M2M & IoT], which can be downloaded here.